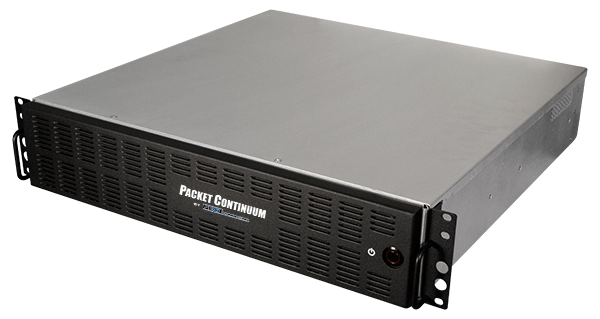 The Packet Continuum Deployable platforms are complete packet capture solutions in a compact, short-depth rackmount footprint. They offer massive storage and high throughput for those who need maximum performance in minimum space. In a 2U x 17″ chassis, also with unique removable hard drives, the Deployable Enterprise offers up to 10Gbps aggregate lossless capture via 2 capture interfaces with up to 20TB storage. Add in 4 additional cluster nodes for even more powerful packet capture solution. 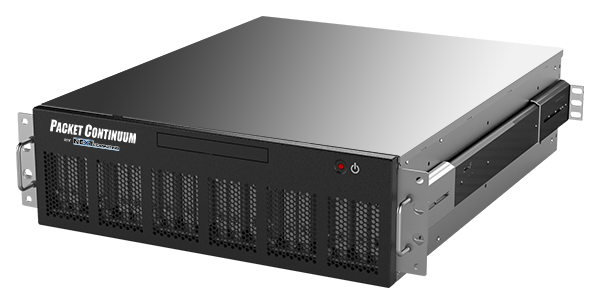 In a 3U x 20″ chassis with unique removable hard drives, the Deployable Extreme offers up to 10Gbps aggregate lossless capture via 2-4 capture interfaces with up to 48TB storage. Add in 4 additional cluster nodes for an even more powerful packet capture solution.